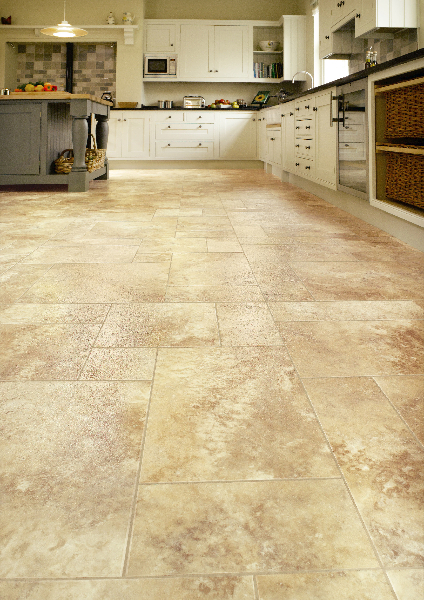 Karndean flooring really delivers the ‘wow factor’. 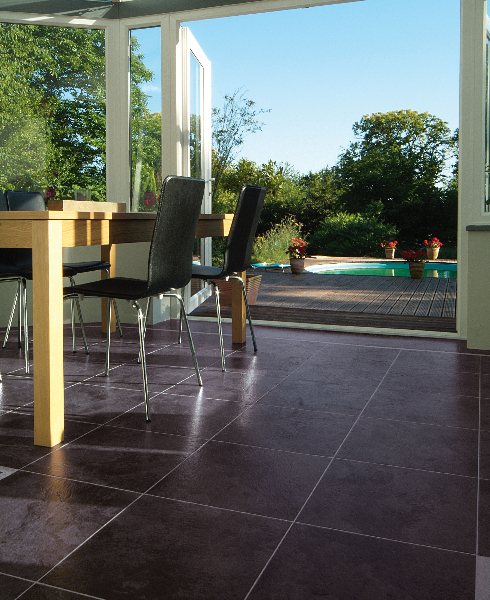 Impress your friends with this premium designer vinyl, and even design your own layout, borders and motifs. 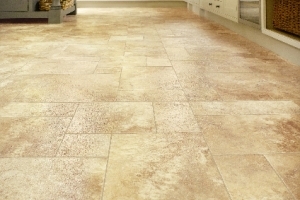 What’s more, Karndean flooring is hard wearing and so easy to clean. 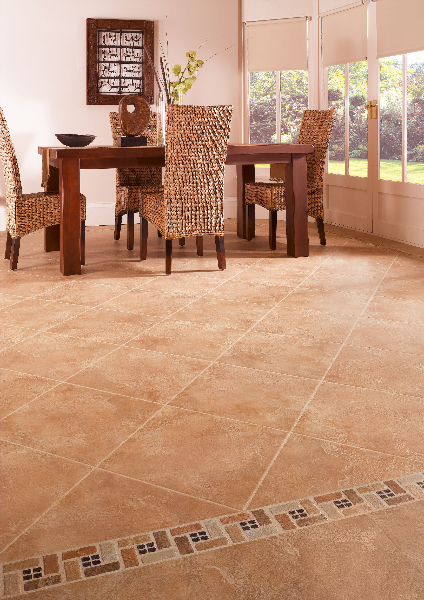 It’s a floor that will continue to impress for years and years. 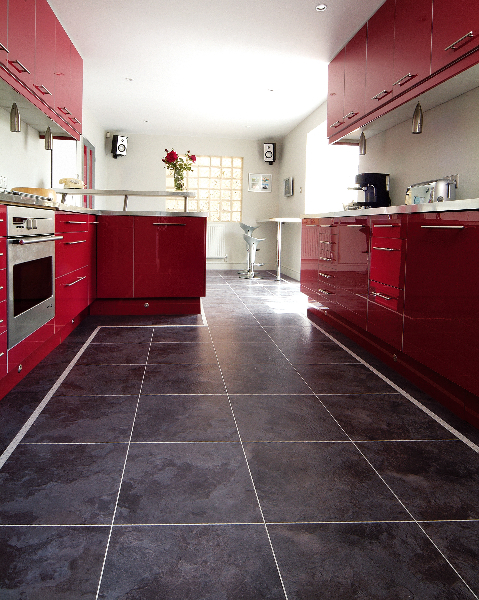 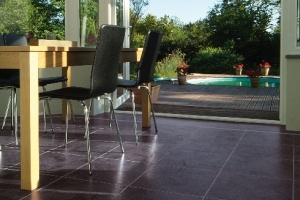 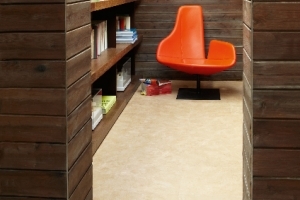 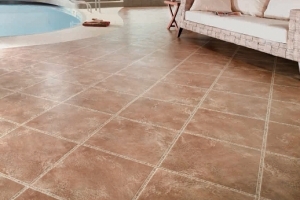 We supply Karndean flooring as vinyl tiles or wood effect vinyl planks. 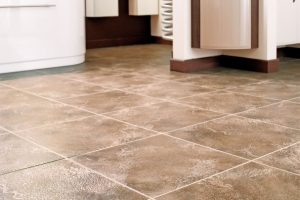 To prepare your sub-floor, we lay a 4mm screed and/or fit ply board, which ensures the floor is perfectly flat and guarantees a fantastic finish. 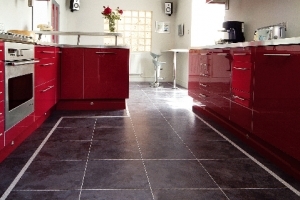 We also supply local schools and businesses with non-slip safety flooring and all types of commercial floor coverings, carpet tiles, stair nosings and entrance matting. 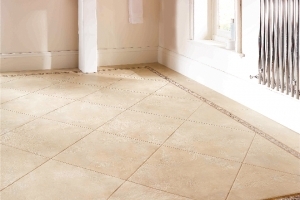 To ensure your Karndean flooring always looks its best, we’ll supply you with a Karndean cleaning kit. 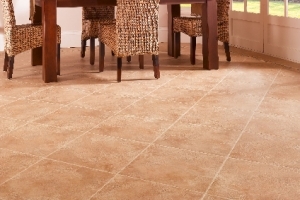 This includes a specialist mop and all the cleaning products you’ll need to take care of your new floor. 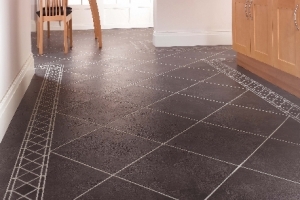 For more information on Karndean Flooring click Get a quote online now or call Surefit Carpets in Sheffield on 01143 217511. 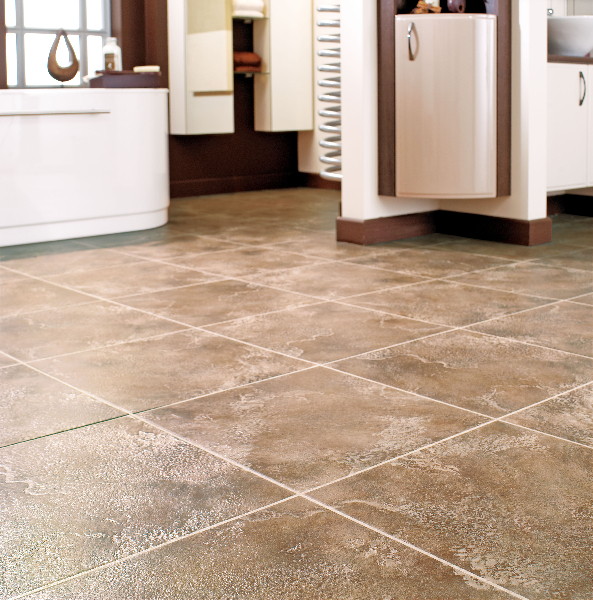 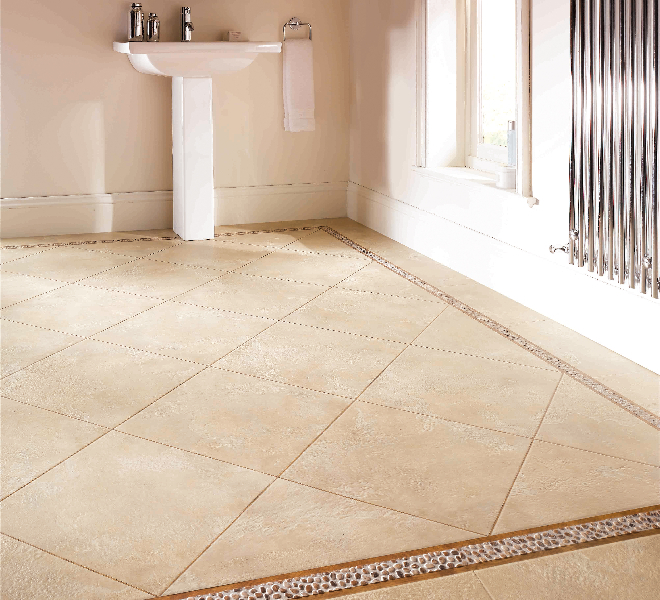 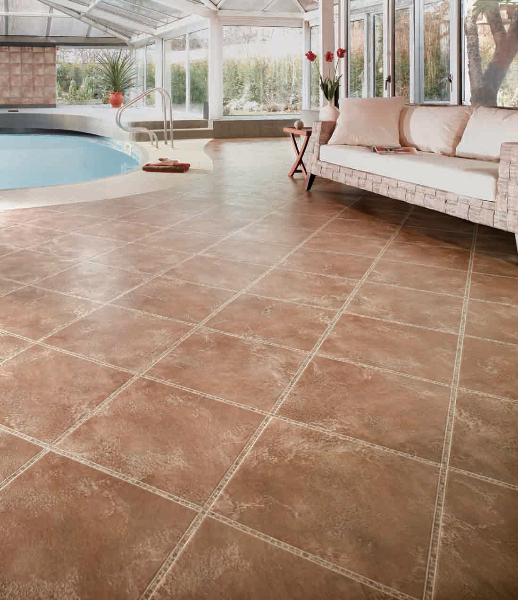 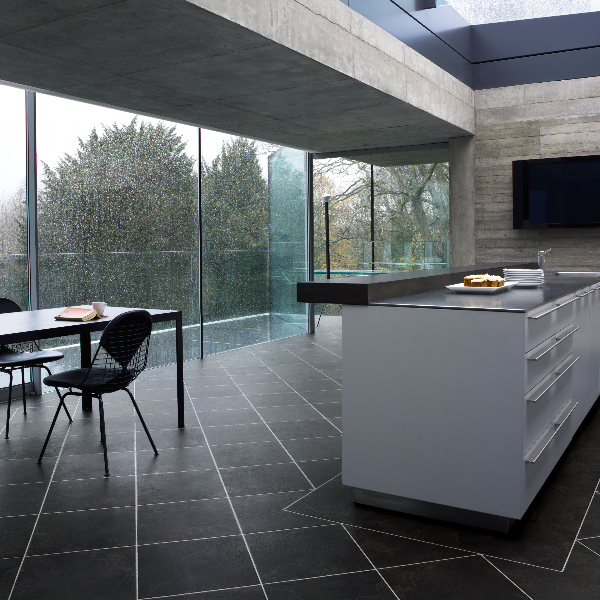 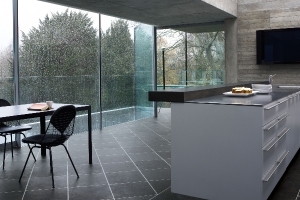 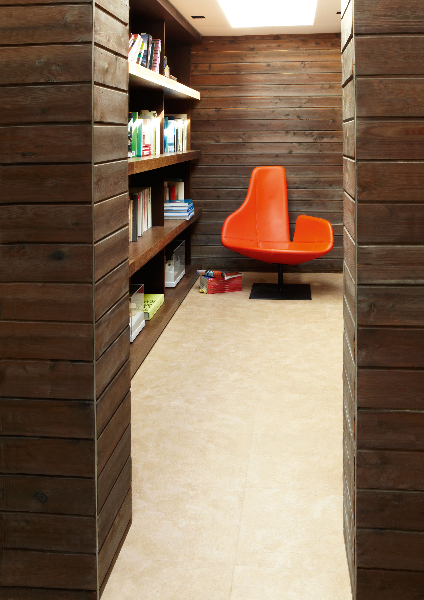 Karndean Flooring – Get the wow factor ! 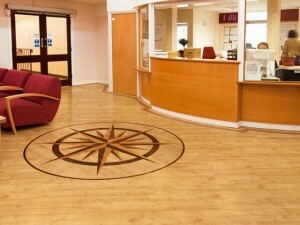 We can also fit Karndean designer logos, as pictured. 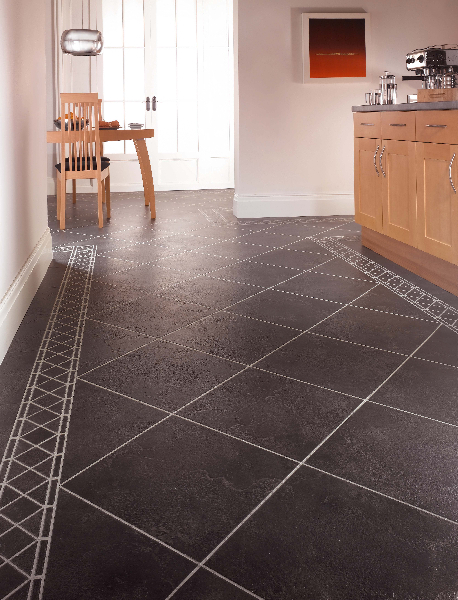 These motifs can be designed around your existing company logo and laser cut at Karndean’s factory.